Sunday night, one of Britain’s rock royalty and resident loudmouth was visiting Montreal, with his High Flying Birds in tow. The former Oasis ringleader Noel Gallagher, in the midst of a North American tour, was rolling through town to promote his latest solo effort, “Who Built the Moon?” at Place des Arts. Who Built The Moon? Out today. With as much as 10 band members on stage with him at time, (including Oasis member Gem Archer on guitars, 2 keyboards, a horn section, a drummer, a bassist, a scissors player, 2 back-up singers) its was a big, psychedelic, loud affair. The stage set up was incredible, with a huge circular LED screen showing colourful psychedelic images mixed up with live feed from the concert. The first half was mostly centred around his excellent new record, which is even better in a live setting. It’s rounder and heavier than the more electro-influenced album version. Drum machines are replaced by the expert drumming of Chris Sharrock (a former Oasis drummer). Highlights included the opening one-two punch of Fort Knox/Holy Mountain (how is this song not a global hit, I don’t know) and the very ethereal It’s A Beautiful World among other stand-outs from his latest record. At around mid-mark, Gallagher took a brief pause to chat with the crowd, poking fun at a guy wearing construction boots in the first row. “Are you just off work? Are you a truck driver? If you are looking for work, we need help to tear the stage down afterward”. “Any Oasis fans left in this town?”. -after which he launched into Little by Little from 2004 album Heathen Chemistry. 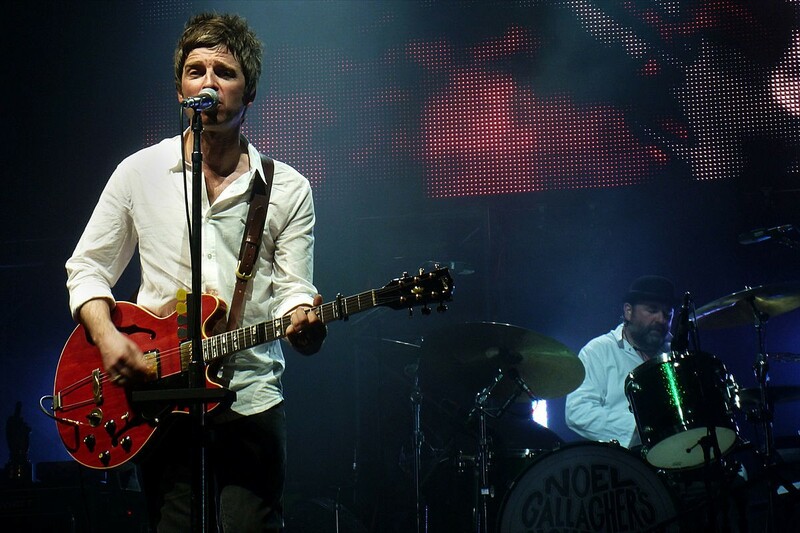 The second part of the show was more centred around his solo back catalog from his previous solo albums and Oasis songs. The Importance Of Being Idle, fan favorite/deep cut Half the World Away, and a very good rendition of Wonderwall usually sang by his little brother, before finishing with AKA What a Life from his first solo album. For the encore, he belted out a manic version of the Oasis classic Go Let It Out, a powerful acoustic rendition of the 90’s flagship song Don’t Look Back In Anger, before closing off with a cover of The Beatles “All You Need is Love” with the full force of the backing band. Superb. 22 songs, just under 2 hours, Noel was in top form. His voice sounded better than ever, the band was tight, the sound was good and the songs, a top notch psychedelia affair. We would have taken a few more Oasis songs perhaps, but that’s just nit-picking. That will have to wait until Noel makes peace with his nemesis and brother Liam, if it ever happens. Meanwhile, he does what he does best, which is writing good pop tunes, loaded with hooks, reminding us why he is one of the great songwriters of the 90’s. My Intro to OM experience - What the heck Orgasmic Meditation!? Stay green in the afterlife | Be a Eucalyptus tree!